What is Gaelic Dreams Floral & Imports? Gaelic Dreams Floral & Imports is a fully licensed privately owned online and brick & mortar retailer of fine quality fresh cut flowers, green and blooming plants, natural or organic healing products, imported gifts and select fashions from around the world. We search the world to bring you the finest products available. 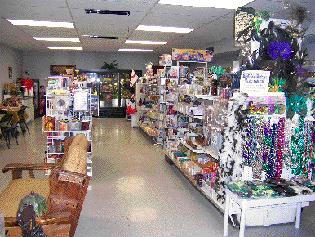 We are a full service florist and gift shop and a proud member of "FTD", the "Society of American Florist" and the "Flower Shop Network" an association for independant retailers in the floral industry. 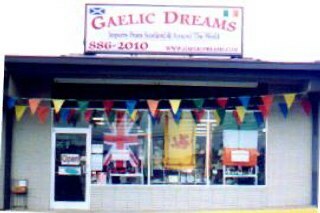 Gaelic Dreams Floral & Imports is the only local FTD "Quality Star Florist" in the city limits of Hopkinsville, KY, do not be misled by the online or Yellow Pages order mill ads claiming they are local shops in Hopkinsville. By dealing with your local FTD floral shop you are guaranteed your flowers will arrive as promised and in excellent condition. The designers at Gaelic Dreams Floral & Imports have more then 30 years experience in the floral & gift field and can create floral arrangements in most any style you desire and within your price range. To speak to a designer or our event coordinator please call 270-886-0010. Help us spread the word about this site by adding a link to our site. For details see the Celtic Links page of this site. Gaelic Dreams Floral and Imports can not only deliver your order to Hopkinsville, Ft Campbell, Oak Grove, Pembroke, Gracey, Henderson, Beverly, Fidello, Masonville, Church Hill, Merrits Town, Square Deal, Longview, Pleasant Green Hill, or Kelly KY but also anywhere in the world through FTD. Gaelic Dreams does not charge an exorbitant sur charge on your flower delivery. The price you pay for local deliveries in simply the cost of the product plus a delivery charge as indicated on the shopping cart page. The only time you might be billed a higher price is in the event the order is beyond our local delivery area or during peak holiday times. In this case, unlike alot of other online order mills, we only charge a $5.00 relay fee. This fee covers the transmission of the order to another FTD florist in the area the order needs to be delivered to. Other online retailers charge as much as $13.95 per order for this service alone. 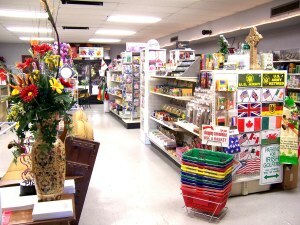 Our main retail showroom is located, at 2711 FT Campbell Boulevard in Hopkinsville Kentucky and serves the entire 50 US states and Canada through our family of related websites including Gaelicdreams.com, Tartan4U.com and Enchantedspiritz.com. Locally, we have been serving the Hopkinsville, Ft Campbell, Pembroke, and Oak Grove Kentucky area since August of 2000. Over the past eight years we have grown to be one of the largest distributors of its kind in Kentucky and now offer more then 15,000 unique and beneficial products. Just as a catapillar evolves into a beautyful butterfly during its lifespan, Gaelic Dreams has evolved through the years too and now is considered one of Hopkinsville's most original shopping destinations attracting visitors from all over the region. We maintain a great selection of fresh cut flowers imported from Europe, South America and South Africa on a weekly basis. 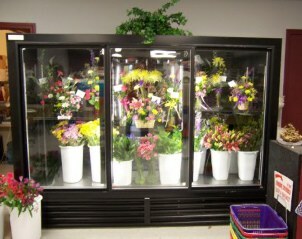 Our state of the art floral refrigeration systems guarantee that all fresh materials are stored at the optimum temperature and humidity to maintain freshness and display life. Chain of Life procedures are strickly enforced assuring the maximum vase life for all perishables. Though we specialize in tartan products and clan related gifts our nearly 3000 sq. 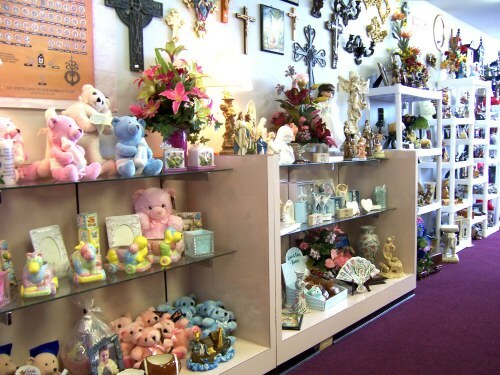 ft. showroom of giftwares from around the world is always brimming with new ideas and products sure to please even the most discriminating shopper. The authentic kilts and tartan fashions shown on this site are imported direct from Scotland and are made of the finest new wool available. Products marked as Organic have passed the requirements set forth by the United States Department of Agriculture and are certified as being fit for human consumption or topical application. Natural products are those that do not contain harsh chemicals, petrolium by-products, artifical additives, or other irritants. 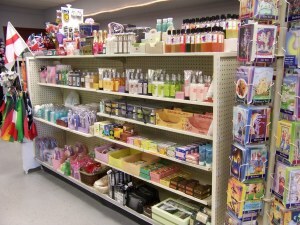 In addition we stock a full range of bath & body products, candles, imported foods and candies, plush animals, greeting cards , wrapping paper, ribbons, books and more. We even have a tranquil seating area where you can come in, sit down, and as they say "Smell The Flowers", while sipping on a fresh cup of fine coffee or imported teas. 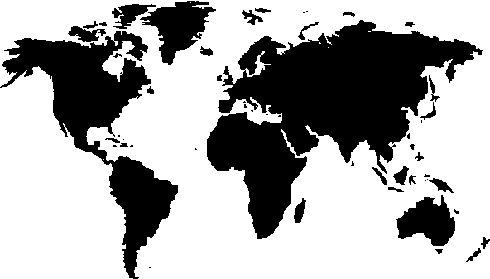 Your browser can not display this map. If you do not find what you are looking for in store we can also special order several items for you. 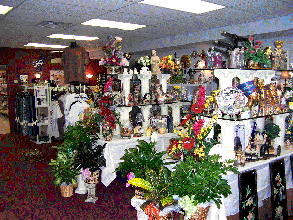 So why not enter Gaelic Dreams Floral & Imports today where a "World" of surprises awaits you. Most in stock items can also be shipped to anywhere in North America and flowers or plant deliveries can be transmitted through our wire service affiliation to professional Florist Shops around the world. When possible, we only deal with manufacturers and supplers who follow established fair trade policies where workers are paid a fair and equitable wage for their labors. A portion of all the proceeds from this site are donated to our pet charities including animal shelters, human rights organizations and other local or national non profits. You too can help make a difference by Living Green. 15 easy steps you can take to live a healthier and greener life. Check out our Class and Workshop Schedule by clicking on the link.